Releasing alongside the adidas Ultra Boost 4.0 is a very similar “Grey Multicolor” iteration of the adidas Ultra Boost ATR Mid for the month of September. Dressed in a Ash Silver, Carbon, and Core Black color scheme. This All-Terrain rendition of the adidas Ultra Boost features a Primeknit upper highlighted with Multicolored detailing throughout. White around the ankle collar, a Grey heel counter, full-length Boost midsole and Black Continental rubber outsole completes the design. 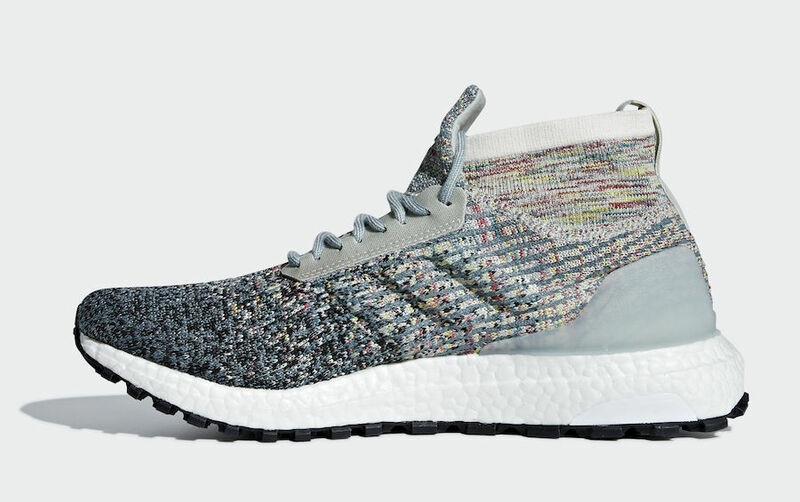 Look for the adidas Ultra Boost ATR Mid “Grey Multicolor” to release on September 8th at select adidas retailers and adidas.com. The retail price tag is set at $220 USD.